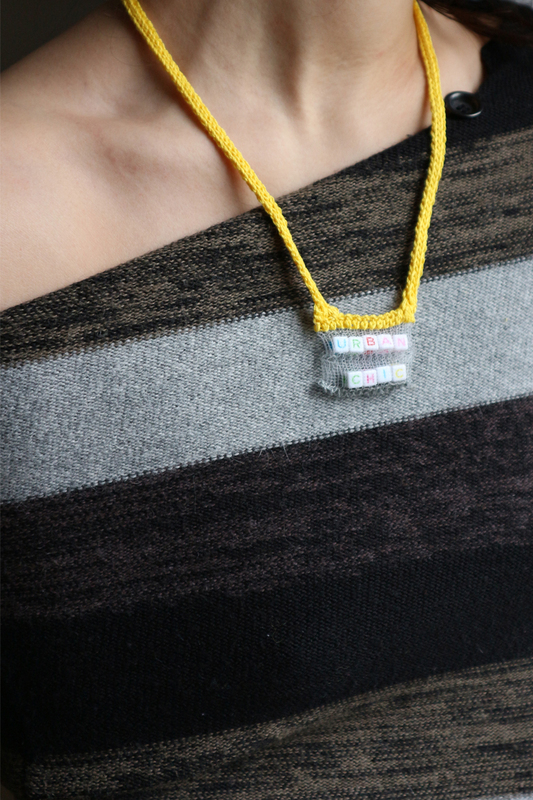 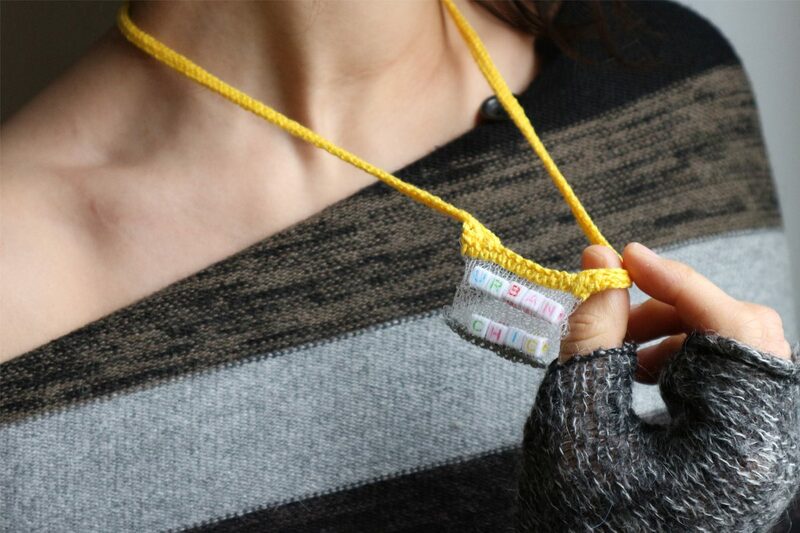 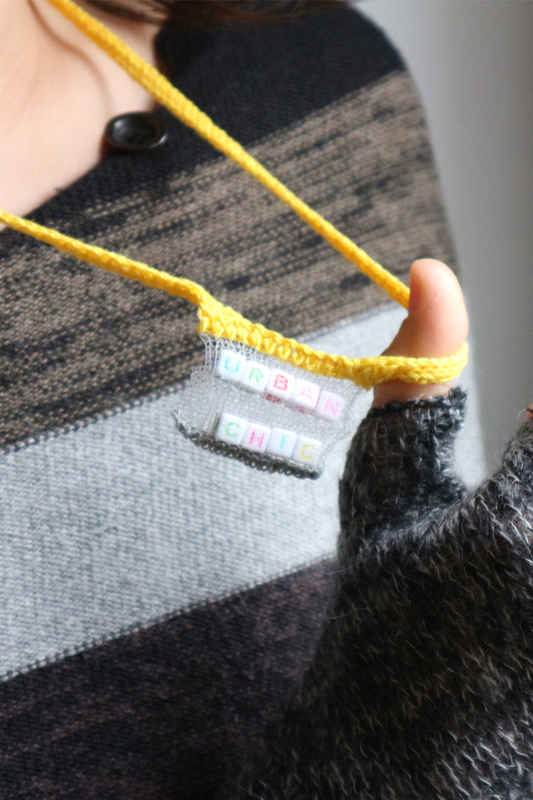 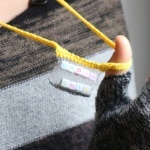 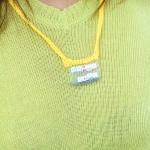 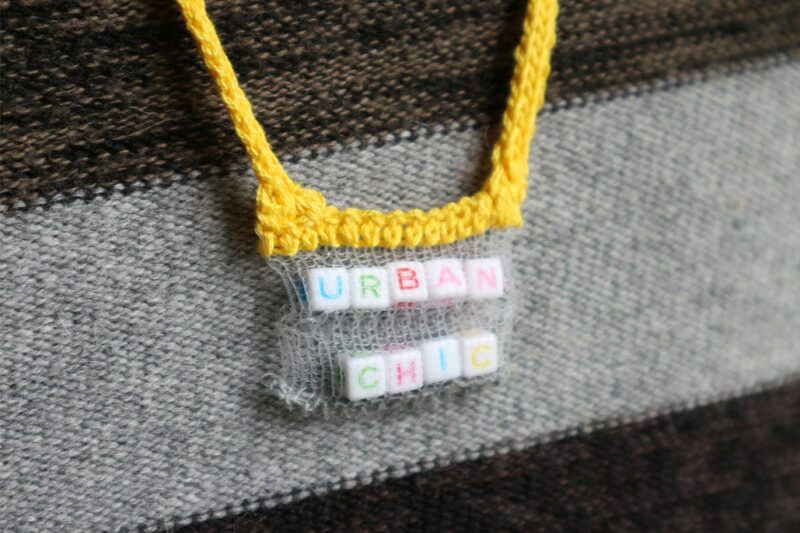 The urban Chic phrase necklace is a fun item for any occasion or perfect little gift. 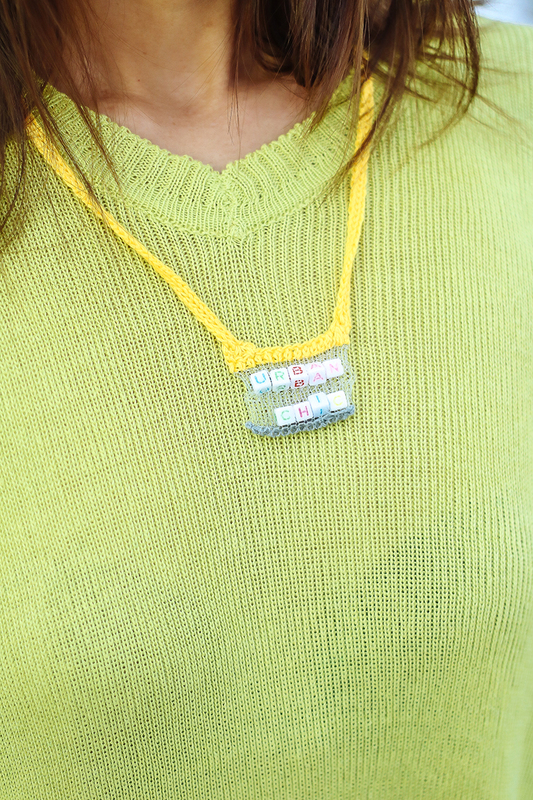 The bead colours are random, bright and bold, try something different and enjoy. 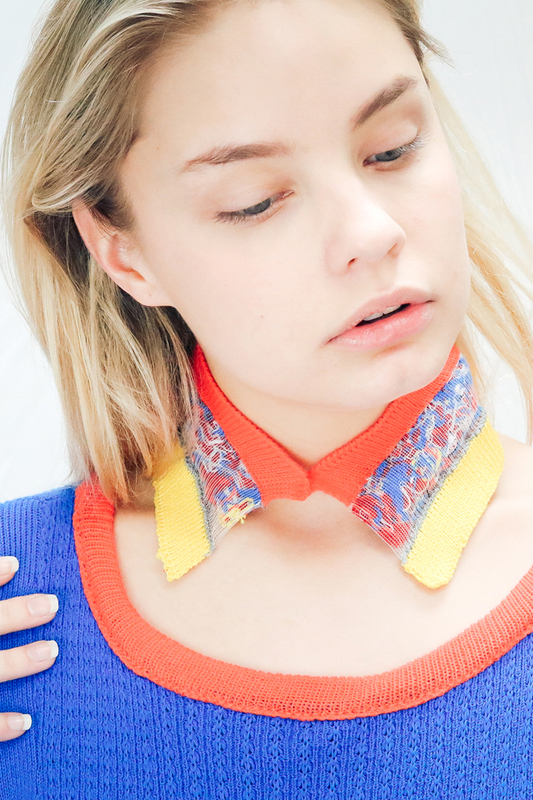 This jazzes up any outfit. 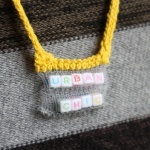 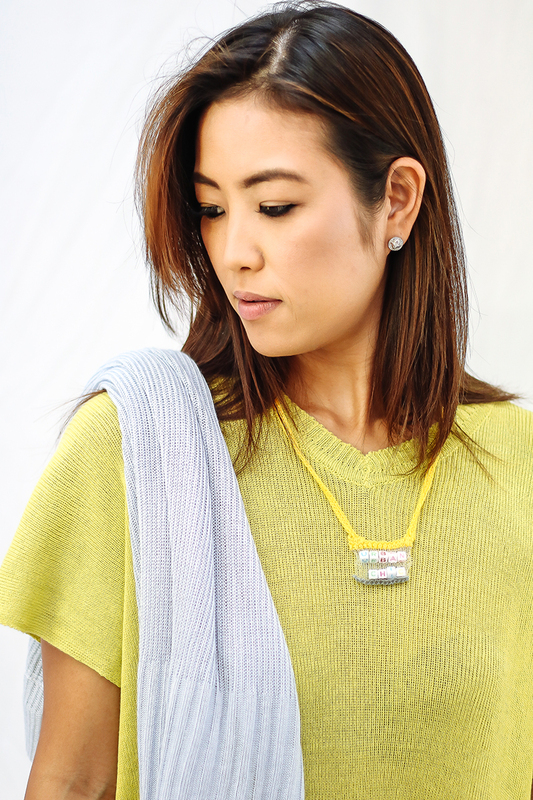 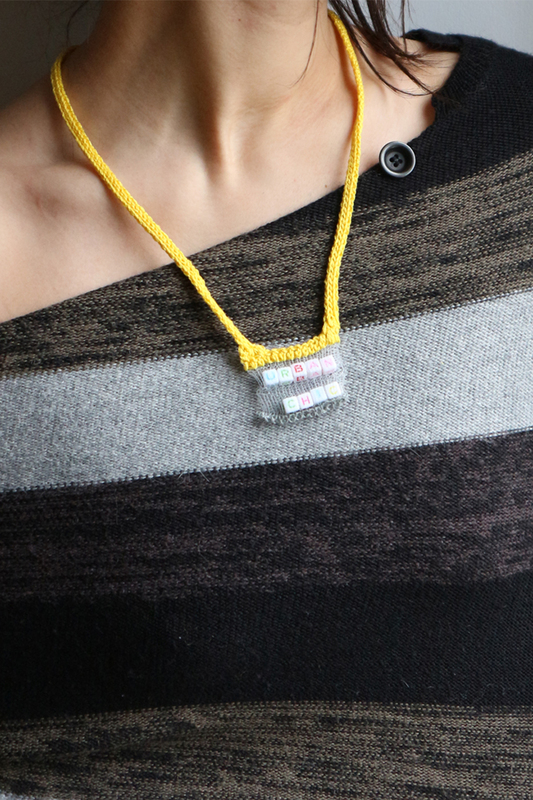 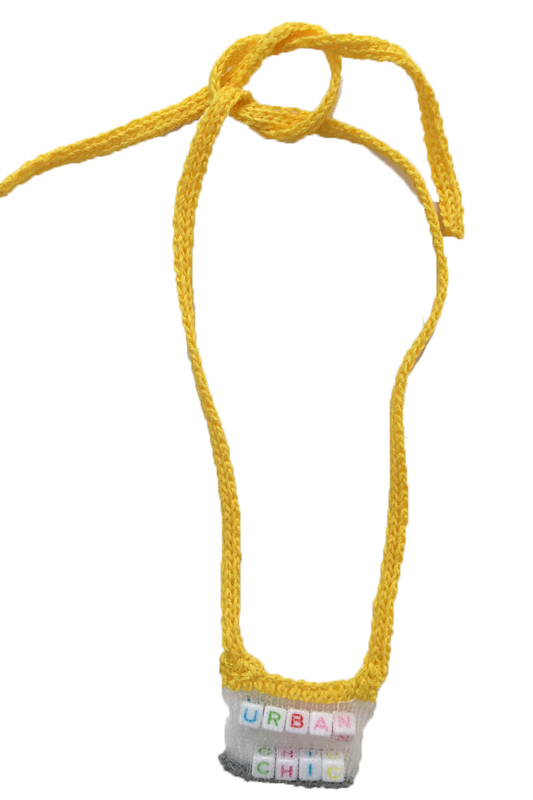 Currently knitted in yellow with grey, perfect for any look.